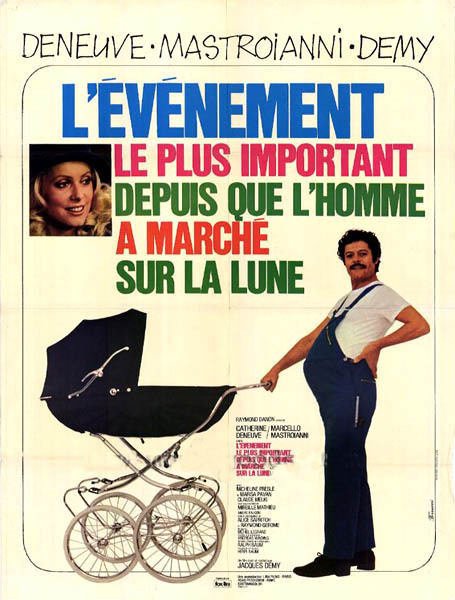 A tongue-in-cheek comedy about a man who is understandably shocked to discover that he is "with child," A SLIGHTLY PREGNANT MAN is a wry underrated masterpiece from director Jacques Demy. 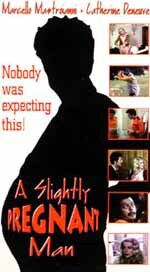 Mastroianni plays the pregnant Marco, an urban driving instructor, with Deneuve as Irene, his equally distressed hairdresser wife. 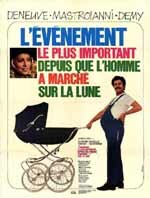 As Marco's pregnancy becomes a worldwide phenomenon, and the film grows in its deadpan slapstick, Demy imparts some less than subtle social commentary and criticism into this ridiculous and fantastical tale. English language.